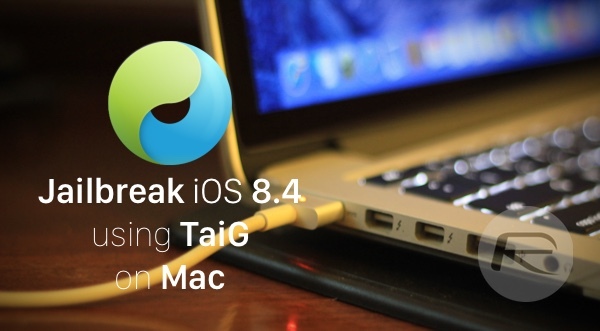 This guide will help you jailbreak iOS 8.4 using TaiG jailbreak tool on Mac OS X. As you might already know, the TaiG tool is not available for OS X yet. The team behind the newly released jailbreak tool are catering to Windows users only – for now. 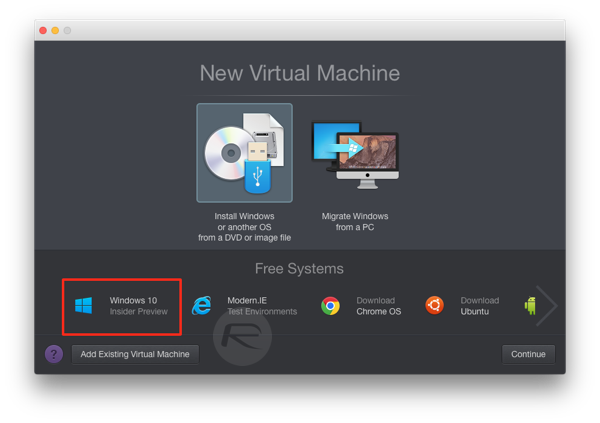 But there’s a way around it by means of virtualizing Windows 10 Insider Preview on your Mac, and the process is quite simple and straightforward. Step 1: First and foremost, download and install the trial version of Parallels Desktop 10 for your Mac from here. It offers free trial and supports Windows 10 Insider Preview from the get-go. As we mentioned in one of our previous guides as well, Windows 10 Insider Preview is absolutely free to download and install, and so is free trial of Parallels Desktop 10. In our tests, this combination works the best if jailbreak is what you need to achieve using your Mac. Step 2: Once Parallels Desktop 10 is done installing, launch it and select the ‘Windows 10 Insider Preview’ option on the main window and follow the on-screen steps. This will download and install Windows 10 Insider Preview ‘virtually’ on your Mac. Depending on the speed of your computer and your Internet connection as well, this could take a while. Be patient. Step 3: Once your Windows 10 Insider Preview Virtual Machine is up and running, install iTunes on it by heading over to: apple.com/itunes. 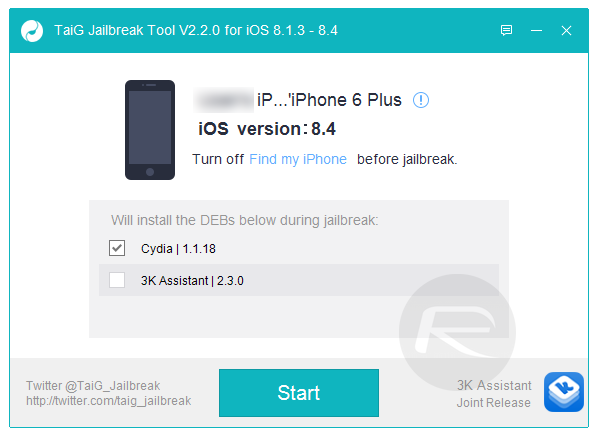 Step 4: Connect your iPhone, iPad, iPod touch to your Mac, and follow our guide posted here to jailbreak your device on iOS 8.4 inside Windows VM on Mac: Jailbreak iOS 8.4 Using TaiG v2.4 On iPhone, iPad [How-To Tutorial]. Once done, you will have Cydia icon on your home screen, all set to install your favorite jailbreak tweaks and packages. Let us know how it went for you in the comments section below. That’s no bueno! Uninstall then reinstall iTunes and see if that works. Am I going to lose any data from my previous Jailbreak install? Are all apps going to still be there? I’m on my 8.3 jailbreak, but hesitant to upgrade to 8.4 just yet. For the most part, I’ve seen only complaints about this jb. Can anyone else chime in, now that a few days has passed, whether they’ve had success with this? Don’t want to ruin what I have by trying to jb 8.4 only to encounter a bunch of problems, you know? is it possible to just jailbreak on a Windows desktop and restore from backup on my Mac later? This is not unlocking. This is jailbreaking. They are not related. Does anyone know if Saurik got around to updated the Cydia Substrate? 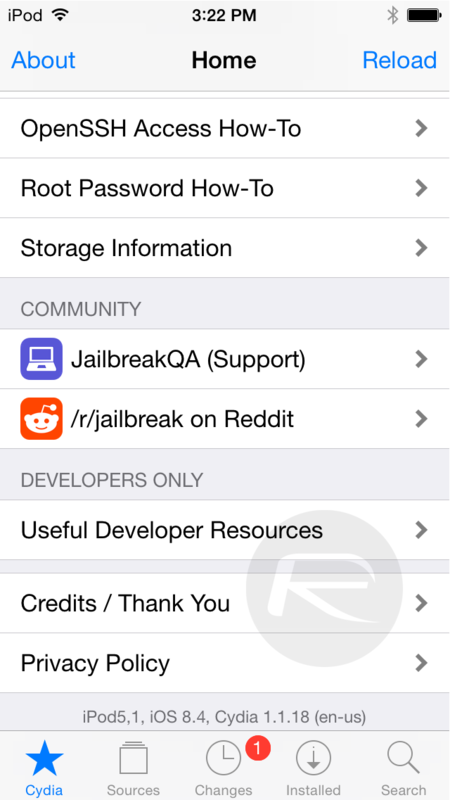 I heard most of the jailbreak tweaks were not working without it as of the release of the 8.3 / 8.4 jailbreak release. yup. updated since last week. everything (at least for me) works great! sub-process /usr/libexec/cydia/cydo returned an error code (2) error…. Can you guys help me what should I do? I did reset and reset network as well as hard reset my iPad3. When I start Cydia I am keep getting sub-process /usr/libexec/cydia/cydo returned an error code (2). Please post fix if anyone has. Please post fix if anyone has this error solutions. I have a virtual machine of winXP, does anyone know if I need win7, or win10 for this unlock app, or is winXP sufficient? Last windows-only JB I ran was Sn0wbreeze and it worked on XP. Windows 10 preview is no longer available. For everyone having problems ՍΝᏞΟᏟΚing their AT&T phones, you can have a hunt at just google atttiphoneuunloockiingfor great service, oahu is the fastest ՍΝᏞΟᏟΚing site I’ve ever use, never took us over 6 hours to սոⅼοсking any of my devices.